Open Wednesday through Sunday from 9am-5pm. Closed major holidays, January and February. Sprague's Super Service was completed in the early 1930s by local contractor William W. Sprague, with a restaurant, gas station, and garage to meet the needs of travelers along Route 66. The upstairs owner’s quarters and a small apartment for the gas station attendant helped Sprague's serve travelers and locals while keeping costs down. Terri Ryburn purchased the building in 2006 and worked on the restoration. 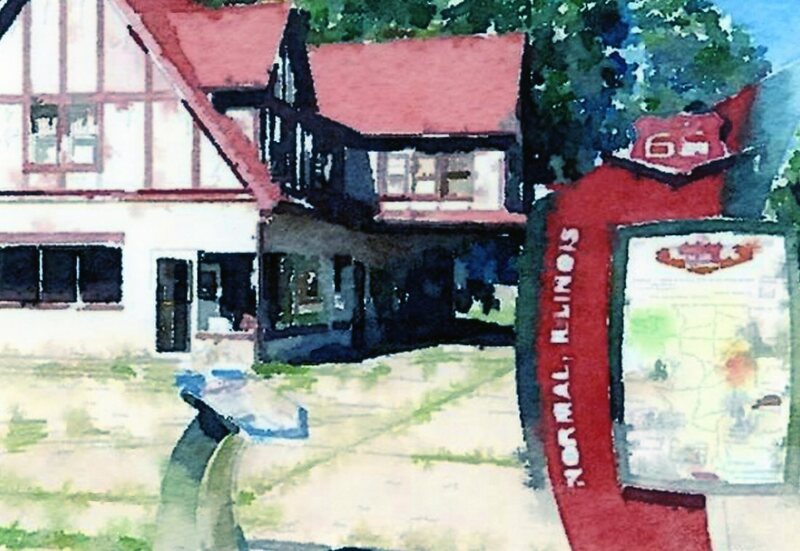 The Town of Normal purchased it in 2016 and plans to finish the restoration. Terri Ryburn has opened a gift shop in the building which features Route 66, vintage, collectibles, and local artists.